Tomorrow marks my ONE YEAR FIRE ANNIVERSARY and so far so good! Unless something super crazy happens tomorrow, I will have logged another strong gain in my net worth. When I became FI a year ago my net worth was approximately $910k and it is currently around $896k which means I've lost around $14k since I left the work force. I certainly don't like the idea of losing any ground, but considering the S&P 500 has only gained a hair over 3% during the trailing 12 months I'm happy. My back of the cocktail napkin math is that if the S&P 500 gains 7% per year I will have a static net worth and that is staying pretty true to form. I spent around $33k in cash yet my net worth only fell $14k. It's also interesting to note that on Christmas eve (the most recent bear market bottom) my net worth was $848K or 6.9% off my beginning FIRE net worth amount. 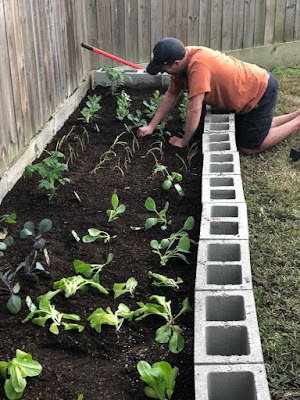 December also marked the time when I finally came out of hibernation and put in place a $350/month CD income ladder and made a few strong dividend investment moves. I have also received roughly $2400 in credit card bonuses since late last year. My earned income during the last 365 days is ZERO. Regardless of market dynamics, I feel like I am in a much stronger financial position going into Year 2. Here is my February 2019 snapshot. About six months ago as I my girlfriend was booking ticket for our second trip to Sacramento I thought "Damn these ticket prices are obscene!" As everyone knows there are many ways of reducing flight costs including "redeye", long layovers, discount airlines, etc. I personally hate the idea of air travel so I want to get the trip over and done with ASAP. A few extra bucks for direct flights or short layovers is fine with me! I still decided it would be worth the effort to try and find some way to reduce the expenses as we plan on making several trips each year as her parents live near Sacramento. 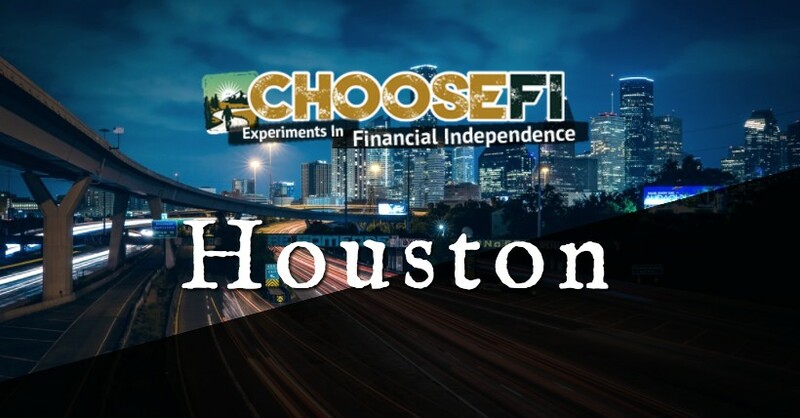 Eventually I stumbled upon the Choose FI podcast and discovered the world of travel hacking. Just for background info, I have been burdened with serious credit card debt in the past and for the past fifteen years or so I have avoided it altogether. I have had a Chase card for about 25 years and use it monthly. I typically receive around $20 in statement credits each month and really never thought much about it. Once I started listening to the podcast I was shocked at how many stories there were about people receiving thousands of dollars worth of flights and hotels via there credit card bonus points. I always thought that the only way to receive enough points to make it worth while is to have a business that charges $10k a month for expenses. As I soon learned many cards offer the equivalent of $1000 in travel bonus points for simply spending $3-5k over a 90 period. Spending that much over 3 months is beyond easy if you put expense you have on the card. I have literally already received $3150 which if used for travel is actually worth close to $4500-$5000 since last September. It takes some juggling and some spreadsheet tracking, but it is definitely worth the effort especially if you are have already left the rat race. If you have a high paying job, especially one that limits your travel, it's probably not worth the effort to switch cards every couple of months. 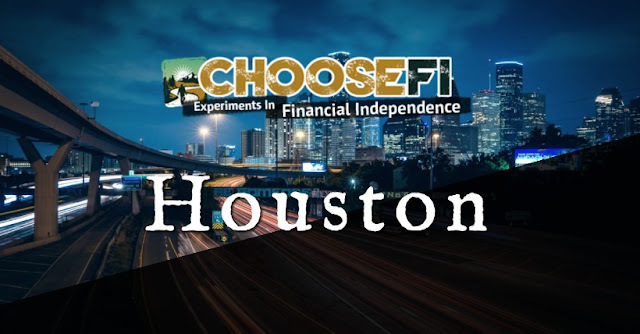 Anyway the Choose FI group has formed several subgroups across the country (maybe even the world) and I stumbled upon the ChooseFI Houston branch late last year. It has only been in existed for around two years, but has recently experienced a lot of growth. I went to a meetup late last year to learn more about travel hacking and to my surprise about twenty other people showed up as well. I went to what I thought would be an info gathering session and it turns out that there are a lot of well informed, committed, enthusiastic people who are working hard at creating intentional lives. I was pleasantly surprised at the quality and diversity of the people at that meetup. I have been to several more since that initial meeting at one of the member's homes. Some of the venues have included a beer garden that had hundreds of board games, Thirsty Thurday meetups at beer gardens which are more of a social fraternal gathering. About 25 members came to a Houston public library which featured an informative round table discussion. Other future events include a hike, a meetup with Millennial Money author/blogger/podcaster Grant Sabatier. There are a few other upcoming meetups as well and they take place throughout the city which is awesome! I should also note that I haven't really run into any DGI members. Most are index investors which is cool because as we all know there are many viable paths to FI. During the past many years while still on the hamster wheel I could have talked with a 1000 people and maybe found a handful with the FIRE mindset. Plus it would have taken time to establish enough trust and rapport to flesh it out. Honestly other than blogs and now the ChooseFI group I don't personally know anyone in "real life" who thinks what we do is normal. I'm looking forward to more meetups and maybe some of you are members of the community as well!